Congratulations to Alexander Reynolds, winner of this Super Rare copy of Number 93: Utopia Kaiser! 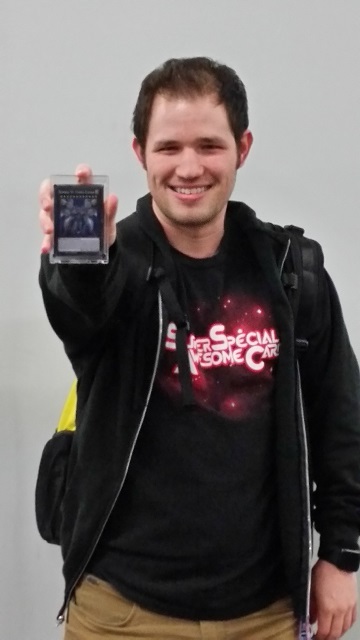 This is Reynolds’ second YCS Prize Card, as he just won this Public Events Points Playoff thanks to his Lightsworn Deck featuring Minerva, the Exalted Lightsworn! Great job, Alexander!